The CHENG D-FRC (Decorative Fiber Reinforced Concrete) System is engineered for precast concrete professionals who want time and labor savings combined with design flexibility and large-format capacity. 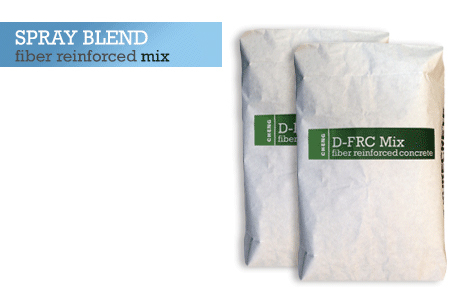 A versatile gray cement blend that makes pouring, spraying and even hand-packing concrete an easy-to-follow, no-fuss process. 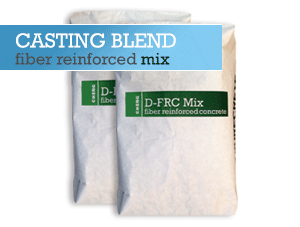 Use the Casting Mix to create flawless concrete countertops, wall panels, floor tile, fireplace surrounds and furniture. Use to create flawless countertops, fireplace surrounds, wall panels or floor tile for both interior and exterior application. The fine blend consistency and exceptional workability deliver amazing detail transfer from any mold surface.